FACULTY: Has 20+ year faculty experience at university level (both physical and virtual classrooms). Used different online teaching systems (e.g. Blackboard, ANGEL, OLS, New Classroom). Also has experience of teaching at community college, at K-12 and multicultural groups (e.g. refugees). --- Instructional design: Performed instructional design at micro & macro levels - Designed test items, learning assessment packages, lesson plans, course assignments, workshops, seminars, training programs, language learning standards, English Language summer school models. Developed language teaching materials in different disciplines. RESEARCH, EVALUATION & ANALYSIS: Managed/coordinated research and evaluation projects at the national level overseas in support of the local Ministry of Education and Science. Designed/co-designed research & program evaluation projects (e.g. Twilight program) conducted research individually & with colleagues. In 2014-2015 published in peer-reviewed journals For 3 years worked as a data analyst with a school district (big data). Provided research and evaluation consultancy (e.g. for Hezel Associates Ltd.), served as a WASC accreditation task force member for the American University of Armenia. 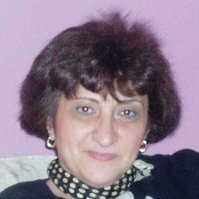 ORGANIZATIONAL LEADERSHIP: Became co-founder of TESOL-Armenia educational non-for-profit organization and for approximately 10 years led the organization as its vice-president and president. Oversaw the operations of the organization, managed its daughter enterprise, designed its five-year strategic plan, conducted annual evaluations, and oversaw provision of conferences, professional development activities. Conducted workshops and seminars for general membership, training for trainers. CONSULTANCY & ADVISING: Served as an advisory board member for a private K-12 school overseas, and an educational advisory board member for the Armenian General Benevolent Union in US. Provided consultancy in instructional design and teaching methodology for TESOL-Armenia members for a number of years. PROFESSIONAL DEVELOPMENT: Is a member to a number of professional organizations (e.g. AECT, AREA, AEA). Participated in different profession development events with UoP & other agencies. Does social presence relate to knowledge sharing in virtual learning teams? What and How of Education Technology in Our Days.